For up to date information and postings please visit our Facebook Page: Hudson-Athens Lighthouse. Tours of the Hudson-Athens Lighthouse are now available on the second Saturdays of July, August, September and October. Join the Hudson-Athens Lighthouse Preservation Society (HALPS) as it hosts visits to the eight room Hudson - Athens Lighthouse that is listed on the National Historic Register. 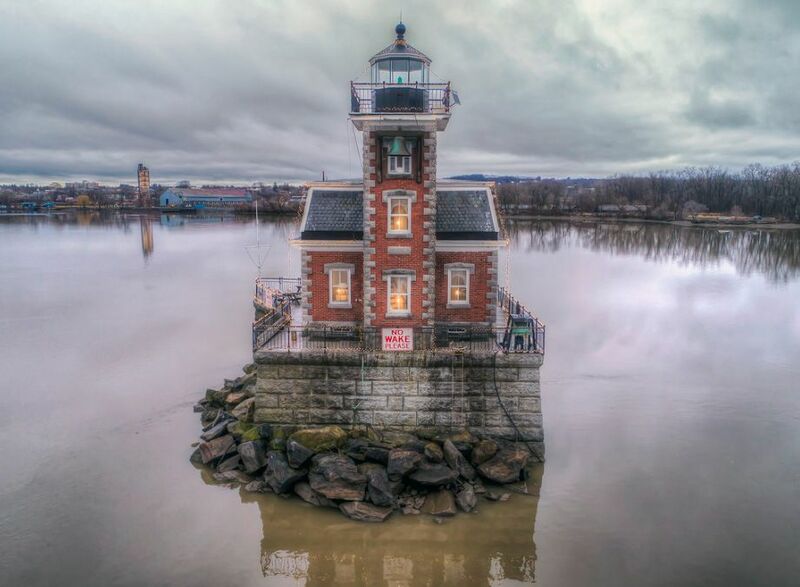 Located in the middle of the Hudson River between the Village of Athens and the City of Hudson, the Hudson-Athens Lighthouse was built in 1874 to guide ships safely around the Middle Ground Flats. HALPS is the sole owner of the house, and is responsible for the restoration, maintenance, and preservation of the lighthouse. The lighthouse continues to be an active aid to navigation on the river. As visitors arrive at the lighthouse, they climb the metal stairs and enter the interior of the lighthouse where they are welcomed by tour guides, a docent, or Emily Brunner herself, through video clips, will relate factual stories about life on the lighthouse in the 1930's. 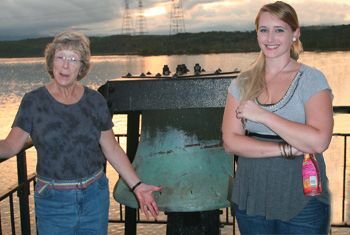 Emily is the daughter of Emil Brunner, the last civilian lighthouse keeper, who served as keeper from 1930 - 1949. His family lived on the lighthouse during much of the 1930s before moving to Athens. 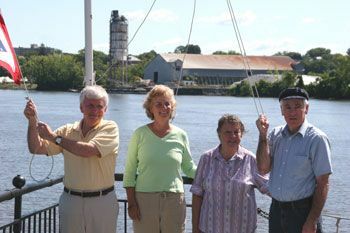 The tour is an opportunity to learn about the important role that the Hudson River played in the development of the upper Hudson River towns, and the role that the Hudson- Athens Lighthouse plays in the safe navigation of the river transportation. Reservations are suggested and can be made online at Hudsoncruises.com or by calling Hudson Cruises at 518-348-8993 or (Toll Free) 888-764-1844. Due to an increase in fuel costs, we have had to raise our fees. The cost is $25 for adults, and $10 for children under 12 years of age. Members prices are $15 for adults and $5 for children. 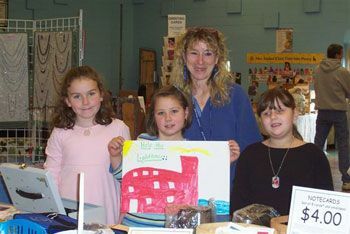 School groups are scheduled for visits in June and through early October. To request information about how your class or school can make arrangements to visit the lighthouse to complement the curriculum of your grade level please email lighthouse@hudsonathenslighthouse.org. Your information and request will be forwarded to the Executive Committee. If special festivals are planned by the Village of Athens or the City of Hudson, tours other than those on the second Saturday of July, August, September and October may be offered to complement the festival activities. The use of the Lighthouse for private and public tours and events is one of the many ways the Lighthouse Preservation Society raises money to pay for the preservation of the Lighthouse which is owned solely by the Preservation Society. Please visit the Membership page to learn how you can become a member in 2017. The lighthouse has been used for weddings, birthdays, reunions, and private parties. Village of Athens Waterfront Park on the half hour beginning at 11:30 a.m.
Boat ride: approximately 10 minutes Tour time: approximately 1 - 1 1/2 hours with about 40 minutes on the lighthouse. Optionally, visitors may take a later return boat. $25. Adults $10. Children - Members - $15 and $5. Reservations: Hudson Cruises 518-348-8993 or (Toll Free) 888-764-1844 or Hudsoncruises.com. HALPS is not equipped for credit card transactions. An ATM is located at the Hudson Amtrak Station which you will pass on the way to the boat launch. Monthly meetings for HALPS are generally scheduled for the 3rd Wednesday of the month in Room 105A at 7pm at Columbia Greene Community College. It is best to check by email or phone to confirm the the meeting is taking place. Our Board of Directors is comprised of elected officers and members from Columbia County and Greene County.